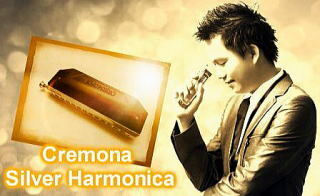 Harmonica Workshop CREMONA produces the original wooden chromatic harmonicas pursuing high quarity sound. Functionally designed CREMONA Original Chromatic Harmonica which gives you warm and profound sound is available to order. Wooden parts are deliberately carved out of the special solid wood one by one and assembled with elaborately designed metallic parts. Silver parts, comb/covers/mouthpiece, are produced in a　sophisticated and process. Harmonica Workshop CREMONA also meets the needs of each players. 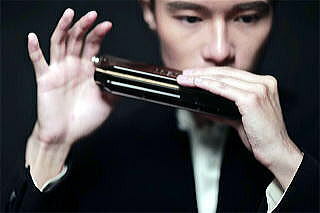 A new brand of chromatic harmonica has been born in Japan. produced by Mr. Naotaka Kishi. It has been more than 100 years since chromatic harmonica was born in Europe. Now we can listen to its sound played in many different musical genres. Chromatic harmonica lovers are icreasing worldwide. and unique design. I consider the "CREMONA" to be one of my favorite chromatic harmonicas to play. Mr. Joe Sakimoto released CD "The Four Seasons in Japan" in 2014. He played all of the songs of the CD with "CREMONA" Harmonica. Please click the following CD title. I have been playing chromatic harmonica for more than 20 years. you have done it perfectly. I love it so much. used it for my performance and all the audience are surprised that harmonica could have such warm and sweet tone which is not all harmonica could achieve that. Beside that, I could have a huge of dinamic color, this could let the music sounds lively and beautiful. Is like driving a Ferrari on top speed and yet still under control by you. I could say every top musician in the world will find their own personal sound and tone in their instrument. I am lucky and happy I foun it now. 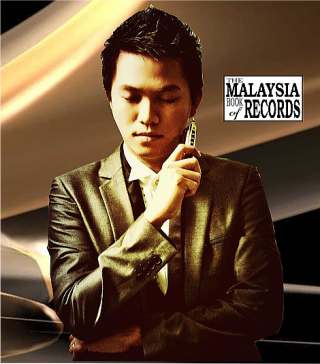 International Concerto Conpetision 2014 (College students and Professional Musicians Division ) as a harmonica player. of chromatic harmonica at Carnegie Hall in New York in December 2014. He won a championship of chromatic harmonica solo in WHF2017 held in Trossingen Germany. He plays "CREMONA" 16Hole All-Wood model (AW64P) and 14Hole All-Silver model (SS56). 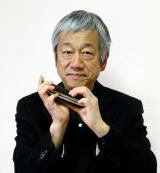 Below are his recording on the CREMONA All-Wood Harmonica. much better than my other instruments with 16 holes. a concert in a large church together with a big church organ. and response I ever heard being played by the harmonica. 『Cremona』 is the name of a small town in Italy where the world famous violins, Stradivarius, were crafted. There are still many workshops of the stringed instruments such as violin, viola and cello in the town now. 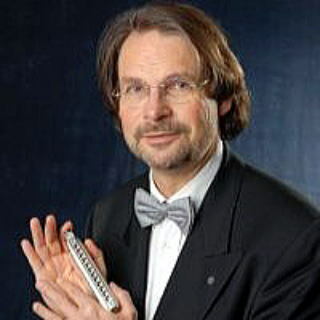 “Harmonica Workshop CREMONA” was named from my strong passion to create impressive chromatic harmonicas which produce beautiful sound like violins whose tones have fascinated many people. ※The contents of this website is written in both English and Japanese. 韓国のハーモニカ奏者 Byungran Lee(Rani)さん、Yujee Lee さん、Hyokyoung Park さんの3名が”ハーモニカ工房クレモナ”を来訪しました。/ Korean harmonica players, Ms.Byungran Lee(Rani), Ms.Yujee Lee, Ms.Hyokyoung Park, visited Harmonica Workshop CREMONA. 2017/12/10　香港でGordon Lee さんと会いました。そして香港ハーモニカアカデミーでクレモ ナの試奏会を行いました。/ I met Mr Gordon Lee. 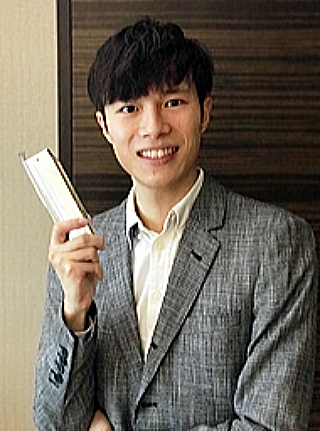 He cooperated to hold the presentation of CREMONA Harmonica at Hong Kong Harmonica Academy. 2017/11/5　Gordon Lee さんが、ドイツで開催されたWHF2017 のクロマティックハーモニカソロ部門で見事チャンピオンに輝きました。おめでとうございます。/ Mr. Gordon Lee won a chanpionship of chromatic harmonica solo in WHF2017 held in Trossingen Germany. Congratulations! 2017/1/1　製品一覧のページをアップデートしました。／We updated the products page. 2015/6/5　香港の若手クロマチックハーモニカ奏者 Gordon, Lee Chun Lok さん当工房に来訪 / Mr. Gordon, Lee Chun Lok visited Workshop "CREMONA"
copyright©2011 Workshop CREMONA all rights reserved.